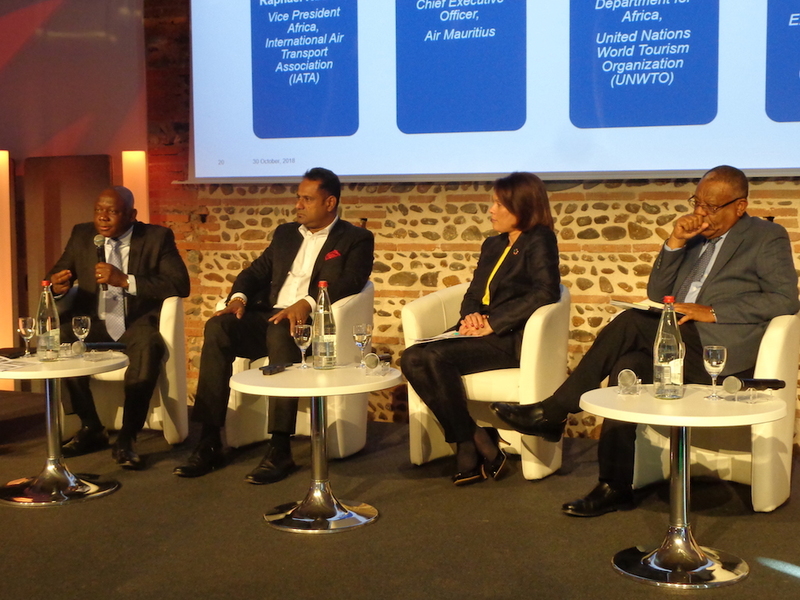 African aviation experts vented their frustration at the slow pace at which African countries are implementing the African open skies agreement during a recent “White Paper” presentation in Toulouse. Launched by 23 African states in January at the African Union (AU) headquarters in Addis Ababa, the African Single Air Transport Market (SAATM) aims to liberalize African skies by eschewing bilateral service agreements. Although the number of signatories has increased to 27, the SAATM remains a work in progress, sowing discontent over its slow implementation. Conceived as a vehicle to improve air connectivity and reduce unit costs, the initiative received the backing of the African Airlines Association (AFRAA), the International Air Transport Association (IATA), and the International Civil Aviation Organization (ICAO) as well as aircraft manufacturers including Airbus and Boeing. During a panel discussion convened to address the challenges facing the African airline industry, IATA vice president for Africa Raphael Kuuchi noted that although stakeholders agreed to fast-track the implementation of the SAATM in a meeting organized by the African Development Bank (AfDB) in May, little progress has occurred since then. Wake added that the AU did not delegate its authority to AFCAC. According to him, finance should not present an issue. “AfDB was ready to make money available but there was nobody to take it, to be honest with you. I think it is lack of leadership,” he said. Kuuchi expressed bewilderment over why the signatory states haven’t implemented the SAATM. “You have decided to open up. Who are you waiting for to come and tell you to start implementing it?” he inquired. According to Berthe, the small airlines fear that the bigger airlines will absorb them if their markets open. However, he said the small airlines could collaborate with the big carriers to create a “win-win” situation for all.